Many aquarists think that there should be no algae in a well-maintained reservoir. 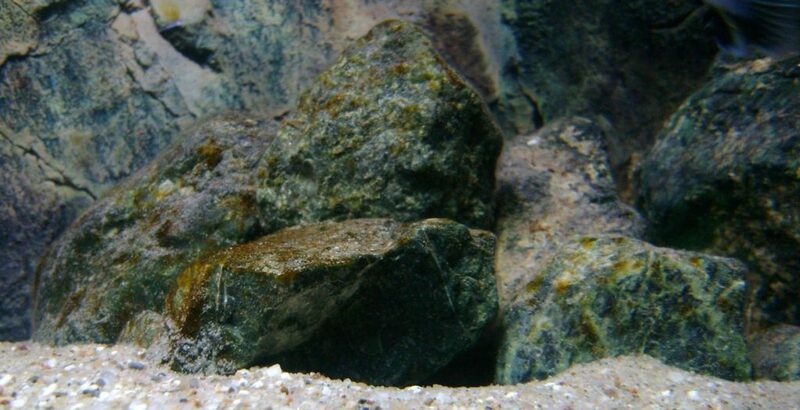 The truth, however, is that a small amount of algae will always be present in even the best kept aquarium. A small number of them indicates the right amount of nutrients and proper lighting. An excess of algae arises when the equilibrium is disturbed and too much micronutrient appears in the tank in relation to the amount needed for plants, especially the excess of phosphorus (this is how phosphorus plays a major role in the scent of algae). This situation is then used by the thallium organisms, which, with the excess of these substances, have easy access to them and begin to grow quickly (with the balance maintained they lose with plants in the fight for nutrients). It follows that algae were, are and will be permanent inhabitants of our aquariums, and it depends on us whether we will let them develop too much, or we will try to prevent their development. Nitrate compounds, nitrates, nitrites (they are harmful, converted by nitrifying bacteria to nitrates) and ammonia – contained in fish droppings, plant debris and uneaten food. Micro and macro elements, among others, magnesium, potassium, iron, nitrogen, phosphorus. Note: it seems that Ancistrus dolichopterus eats only algs, but this statement is only true for juveniles. Older ones can eat more delicate plants. They are cyanobacteria, not algae, as is commonly believed. They testify to poor water quality (excess phosphates and no nitrates). They spread quickly, covering everything. They can cover the plant to such an extent that they will kill it. They have a greenish-blue color. They produce toxins that are dangerous to fish. They occur in the form of gelatinous elements on plants and ground, stones, etc. At night, they can drastically change the amount of oxygen, consuming very much od it. You can remove them from the leaves by rubbing. They have an unpleasant smell. They are formed in tanks with a low content of nitrogen compounds, a large amount of phosphorus and poor water circulation. 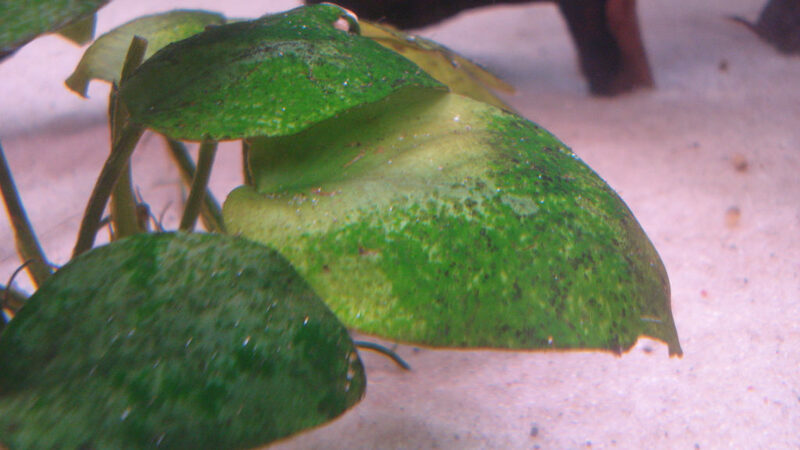 From the attacked tank, try to remove as many cyanobacteria as possible (the more the better). It is required to stop feeding the fish. It is absolutely necessary to replace about 50% of the water in the aquarium and maintain the amount of nitrates at about 20mg / liter. You can also use an external fine-mesh filter made of wadding – it is a non-woven fabric that gives better filtration, thanks to which even the smallest micro-impurities will be removed from the water. Cyanosis should stop on it and it should be cleaned every other day. They testify to a lack of lighting and an excess of phosphate and nitrate compounds. At the start-up of the aquarium, they can occur in brightly lit places, although they prefer poor lighting. They have a brown color and develop on glass panes, plants (blocking their access to light) and decorative elements. When trying to get rid of them, never use chemistry. The diatoms then produce spores and come back after the resignation of chemistry with redoubled strength. You can get rid of them by strengthening the lighting in the aquarium. Increasing the power of lighting should be common sense and not overdo it because instead of diatoms we will have a water bloom. In addition, the amount of nutrients should be reduced by partial water exchange. 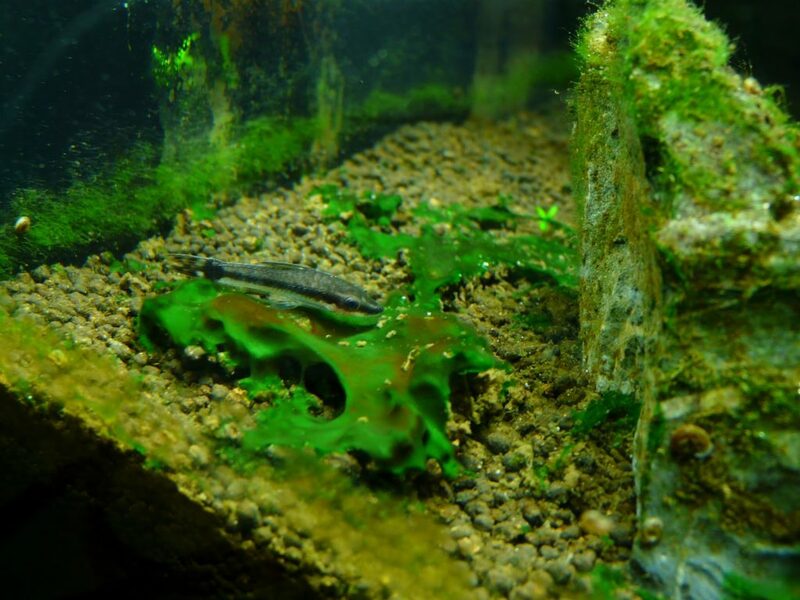 The diatoms are eagerly eaten by golden otocinclus, of which several can be introduced into the aquarium to help in the fight. When starting to remove diatoms, first remove them as much as possible by mechanical methods, eg by scraping them from the glass or by rubbing the leaves of the plants. In addition, replacing the water and taking care of water parameters should stop their invasion. Their color is a combination of blue phycocyanin, red phycoerythrin and green chlorophyll. They can be reddish, bluish etc. There are chlorophytes that look similar to other algae, but they have a green color, which distinguishes them from the red algae, for example. 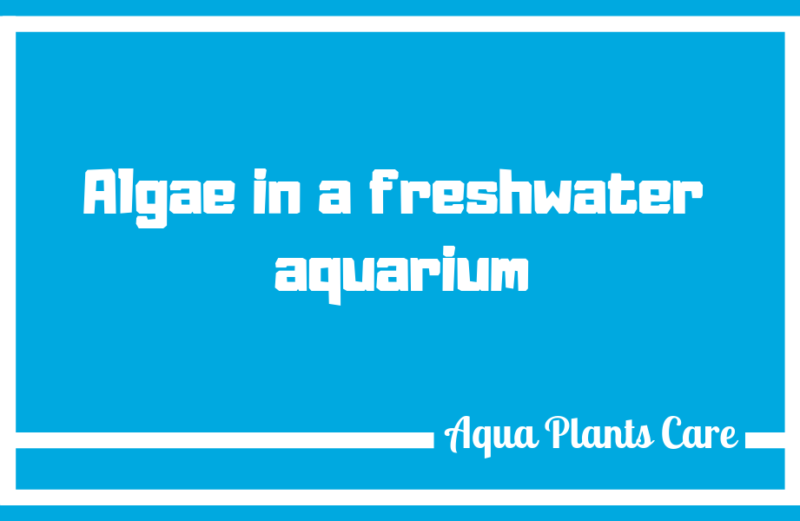 They get into the aquarium with water or sick plants. The brush algae like water movement and often start their attack on the aquarium from settling at the filter outlet. It is very difficult to get rid of them. They attack the leaves and their too high concentration can cause the leaves to die. Strongly attacked leaves remove. It is good to send mowers and mollies to fight with red algae, of which group should effectively reduce the amount of these algae (and by the way will eat moss if we have in the aquarium, so beware). If we have a tank with CO 2 fertilization, frequent water changes combined with desludging (which should reduce the amount of phosphates) and taking care of the water parameters and a slight increase in CO 2 levels to about 30mg / liter (this will slightly lower the pH) should inhibit them development or even they will begin to fade. It should also be checked if we have enough nitrates. Their lack will cause that the plants will not use phosphorus, which will become available for algae. If we have a tank without carbon dioxide, it is a good idea to stop replacing water for the duration of the treatment and overdose of liquid carbon in the form of preparations: Flourish Excel or EasyCarbon. The fish should be fed with smaller portions so that the whole portion is eaten immediately and does not fall to the bottom. The tank can not be overstocked because it will constantly provide excess of algae-supporting substances (fish excrements = phosphorus). If red algae attacked grit, you can take out part of it, boil it and pour it back into the aquarium. 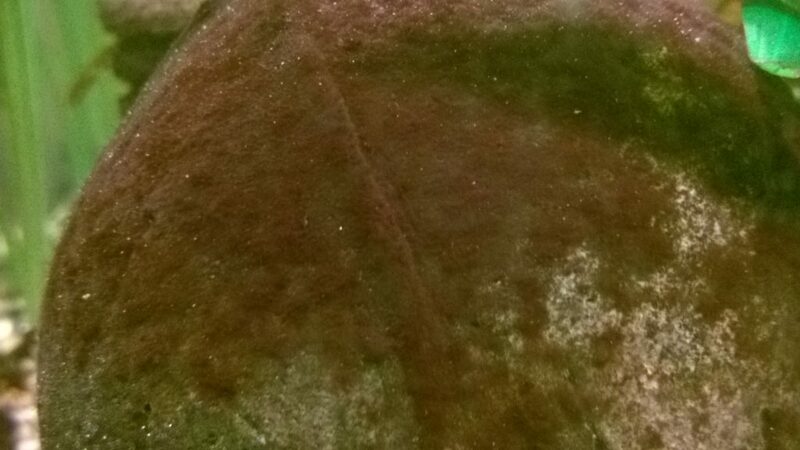 Red algae do not like acidic water (pH below 6.9). To overcome this algae, use all of these methods at once. Neglecting anything will allow the red algae to take the initiative. Below photos sent by our reader Patryk. I hope you will win the fight with these uninvited guests. It is worth reading the chapter Prevention and removal of algae to learn about additional methods and techniques in the fight against algae. There is described a method with tea very effective in fighting algae. They cause water bloom that arises mainly when using solar lighting or artificial lighting that is too strong. Water bloom may cause filling of gills and reduce the oxygen content in the water. They can be removed by filtering water with fine-mesh filters. You can also use an external filter with a UV lamp that will kill floating algae. Counteracting is to keep the amount of substance at the right level and water in good quality. You have to be careful about the excess phosphorus compounds that favor the growth of algae. It is best not to add phosphorus with fertilizers at all. This amount of phosphorus limits the growth of plants and algae. Its small amount will limit the growth of plants, but also will not allow algae to grow. The phosphorus race between plants and algae takes place in the water. The race is won by plants, but if there is too much of it, algae will also be able to access it and develop excessively. It is necessary to keep a slight excess of nitrates, potassium and carbon dioxide in relation to phosphorus and keep the lighting at 0.5-0.7 [W / liter]. Algae compounds (which slightly lower the pH to 6.5-6.9) in the form of lignite (hardened brown coal) placed on the bottom help to fight algae. Additional CO 2 fertilization also acidifies water. With carbon dioxide you must not overdo it because the pH will drop too much and that will kill the fish. The safe level is up to 30mg / liter. Prevention is easier than cure. When buying new plants for the aquarium, they should be cleaned of algae, and preferably quarantined, so as not to introduce a new type of algae. There are also methods based on use of UV rays and special preparations for algae (chemistry – I don’t recommend it). If you have an aquarium only with fish, you can use a suitable UV sterilizer that will remove all algae. However, if you also have plants, do not use this type of solution on the entire aquarium. Special filters with UV lamps can be used. The water flowing into the filter will be treated with UV, destroying the nuclei of the algae cells (but also destroying some of the micronutrients). This method works well with water bloom, but it will not help with algae growing on plants in the aquarium. In addition, it is the destruction of the effects and not of the cause of algae growth. There is no need to use algae chemistry, because by natural means we can get rid of them.